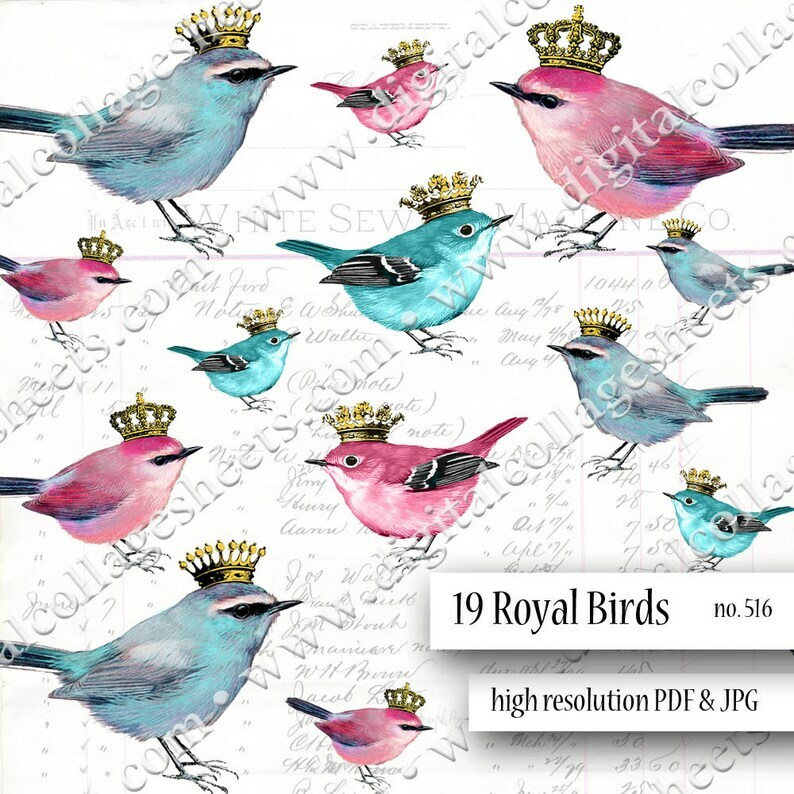 Sheet contains 19 Birds in various sizes. Birds have been color manipulated to be pink and blue. Each bird is wearing a gold crown. Smaller birds measure roughly 1.5" x 1"
Larger birds measure roughly 3" x 2.5"